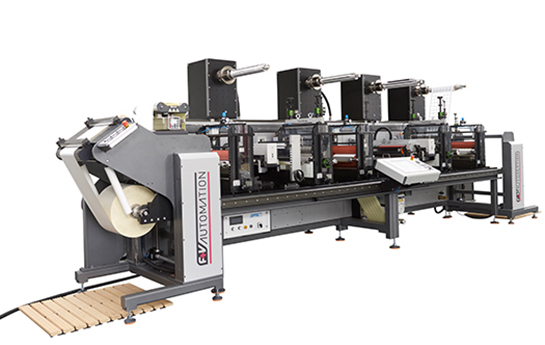 The multifunctional converting machine consists of several modules. This allows highest flexibility and ensures the necessary horizontal and straight-line web path of the basis material for the production. Stable table concept allows usage of heavier and wider tooling units; optional a horizontal adjustment can be delivered. The direct access to individual winder and drive ensures optimum web tension and guidance throughout the machine. “Top console” winders are flexible and can be placed over the entire machine concept. Additional winders can be placed next to the tooling units. Flexible location of each tooling unit allows machine tailoring to meet variety of product needs in industrial converting. Optional features are full automatic module configuration and full automatic tooling unit presetting.